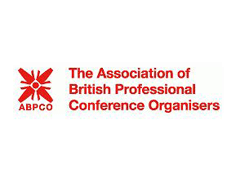 ABPCO will next year celebrate its own 'Silver Jubilee' following a quarter-century since its incorporation and has unveiled plans to hold its 2012 annual conference on 25-27 January. The two-day conference, which is being supported by London & Partners, will be held at the Barbican, with an opening reception at the Ironmongers' Hall. The theme will be '25 years: Past, Present & Future'. The programme includes keynote presentations and workshops presented by three industry experts and sponsored by the London Speaker Bureau. Dr Graeme Codrington will present on the 'Tides of change - the five key disruptive forces shaping the new world of work'; Peter Cochrane, former head of research at BT and the author of numerous articles, papers and books on technology and business will address delegates on 'The formula has changed but we haven't'; while Adrian Furnham, professor of psychology at the University of London, will run a workshop looking at understanding generational differences to motivate staff. Michael Foreman, ABPCO's chairman, said: "This year’s conference will be our best ever, with an incredible line up of speakers and a very special celebration planned already. We are proud to have been representing our members for a quarter of a century and delighted that our ranks continue to grow." "We have grown tremendously as an association, even in the last 12 months, and look forward to continuing to work with our PCO and corporate members, encouraging professionalism and excellence in conferencing throughout the UK."